When it comes to SUVs, there are a few brand names that might come to mind. Now, we take a look at a few of those names by pitting the 2018 Jeep Grand Cherokee against the 2018 Toyota 4Runner in a battle to see which vehicle comes out on top. With spring here and summer well on its way, people are looking for larger vehicles in order to take all of their road or camping trips. To figure out what vehicle would be best with these trips in mind, we’ll compare two of the more common names when it comes to SUVs. In order to do so, we’ve taken a look at some of the specs and features that people frequently ask about when shopping for an SUV, including power, fuel economy, and space available in both models. In the table below, we’ve put these specs and features in a side by side comparison to clearly see how the two are matched against each other. 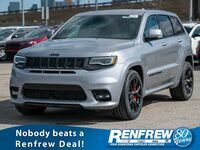 As you can see in the table above, the Jeep Grand Cherokee generates significantly more horsepower than the 2018 Toyota 4Runner. 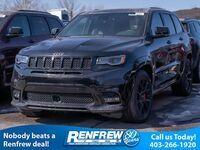 For those looking for power in a vehicle, you may want to consider the 2018 Jeep Grand Cherokee. 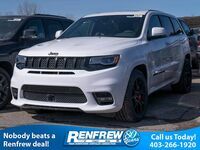 When it comes to fuel efficiency, the Jeep Grand Cherokee has the Toyota 4Runner beat out as well, receiving 3 more miles per gallon, which may not seem like much, but when it comes to fuel efficiency, every bit counts. 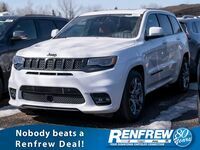 The Grand Cherokee also has a larger fuel tank, so you’ll find yourself stopping less at the gas station with the Grand Cherokee than you will with the 4Runner. The two are tied when it comes to seating capacity, as both are able to seat 5 people. In the end, it is safe to conclude that while there are benefits to the 2018 Toyota 4Runner, the 2018 Jeep Grand Cherokee wins when it comes to power and fuel efficiency.